As the stock market plummets in reaction to China’s recent currency devaluation, it’s time to take stock of the shape of our own economy, independent of its relationship and connection to the Global Economy. I have long been disturbed by the trend toward greater income inequality in this country, but mainly from the perspective of quality of life issues and thinking that a strong middle class protects our democracy. Now the argument is being made by David Madland, managing director of economic policy at the Center for American Progress and author of “Hollowed Out: Why the Economy Doesn’t Work Without a Strong Middle Class”, that income inequality is bad for our economy. This is not the usual argument often put forth in discussions about raising the minimum wage, mainly that in our consumer driven economy, people need to make enough money to buy what companies are selling. Instead, In his blog on ThinkProgress , ” The Fall Of The Middle Class Is Starving The Economy Of Its Most Basic Need”, Madland makes the case that income inequality weakens the most important component of our ability to maintain a strong economy–mainly human capital. He uses Steve Jobs to argue his point, citing him as an example of someone whose father, though a high school dropout, was able to provide a stable middle class lifestyle for his son, Steve. This lifestyle nurtured the young Steve’s curiosity and gave him the confidence to take apart and rebuild electronics. These were invaluable skills for the adult Steve who went on to found and manage two of the most important companies the world has ever known. Madland argues that the ever-widening income gap which is shrinking the middle class, makes the likelihood of another Steve Jobs emerging from such humble beginnings increasingly unlikely. If we accept his premise, then I think the role of employee-side employment lawyers as engines of our economy and not just champions of social justice and economic opportunity becomes clear. We are in the trenches, enforcing the laws protecting equality of economic opportunity. These laws help implement the vision of a stable middle class full of middle class homes where boys and girls can have their curiosity and confidence nurtured and grow up to contribute great innovation to our economy so it can stay strong. Thus, we employee-side employment lawyers are not just advocating for our clients and fighting unlawful employer conduct, we are helping ignite our economy and keep it strong. The employers we sue should be thanking us for our efforts to maintain a strong economy. 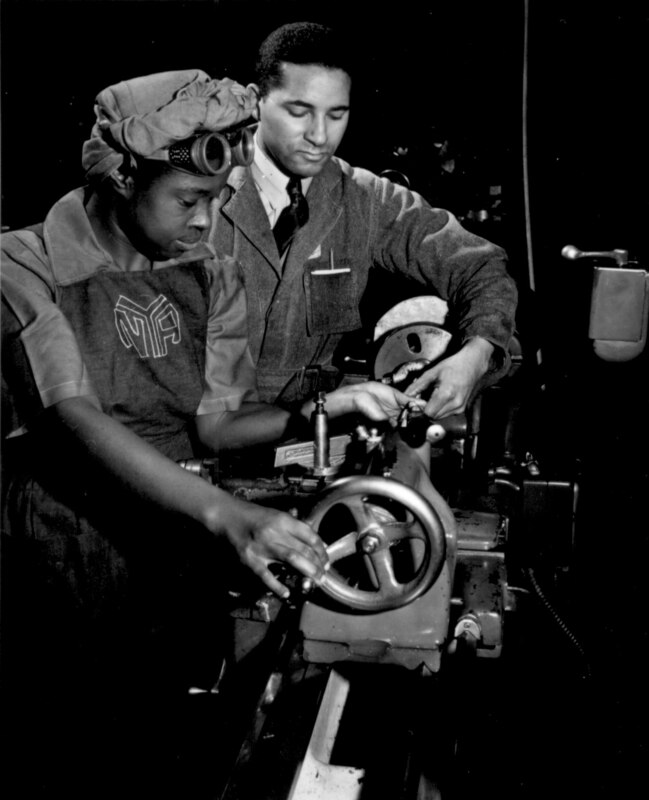 Lathe operator machining parts for transport planes at the Consolidated Aircraft Corporation plant, Fort Worth, Texas. 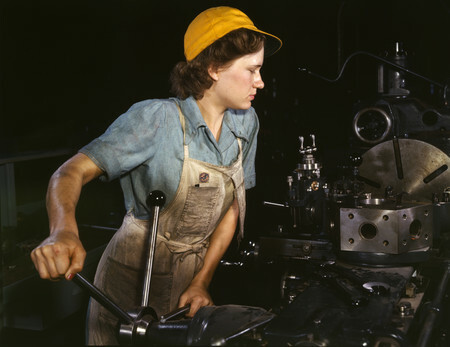 Photo by Howard R Hollem, October 1942. Credit Line: Library of Congress Prints and Photographs Division LC-USW36-421. AB 359 by Assemblymember Lorena Gonzalez (D-San Diego) – Grocery workers.